529 College Savings Plans are one of the best investments for your children’s education that a parent can make. A 529 College Savings Account is an excellent option for parents looking where to invest for your children. The plan allows parents to contribute after-tax dollars into the account, and the earnings and interest grow tax-free. The parent can withdraw the money and earnings tax-free as long as they are used for a qualified educational expense. Additionally, with a 529 College Savings Plan the parent retains control over the account. So, if your child decides to skip college, you can transfer the account to another beneficiary. Nevertheless, the benefits are substantial if you concentrate on saving for your children’s education. Even though the amount you contribute yourself cannot generally be deducted from your taxes, there are states that allow deductions on a portion or the entire amount you put into the plan. Regardless, the principal is tax-deferred and any college expense that is paid with the savings in the plan is tax-exempt. What’s nice about a 529 College Savings Plan is the latitude and authority you possess with respect to contributions. The named beneficiary has no privileges in this regard. You can even make a distribution to yourself. Although, the part in earnings of the amount withdrawn will be assessed a penalty and be taxed for income tax purposes. The plan provides tax-exempt money for educational purposes provided that the money is used solely for that reason. Upromise is a service that helps individuals save money to pay for college or to pay down existing student loan debt. 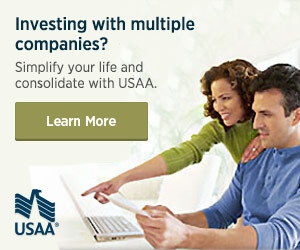 Upromise is a great way to supplement parents and grandparents’ savings and investing in 529 College Savings Plans.